To give the full scope of her birth, I need to start back at the beginning. During my first pregnancy, I was not natural birth minded at all. I was planning to try for a natural birth (just because I’m competitive and wanted to know what all the hoopla was about!) but was totally ok with getting an epidural if it got too bad. I knew that I definitely did not want a csection though because we planned to have a large family. My pregnancy was wonderfully uneventful until the last month when baby girl started measuring big. Every week my OB had me have an ultrasound to check her size, and every week she would warn us about the risks of having too big of a baby (ie. Shoulder dystocia, baby getting stuck the birth canal, etc.) and really wanted me to set an induction date. Meanwhile, we had just had our childbirth class and our instructor was a very natural minded doula. We learned a ton about natural birth and all the interventions and all they can do, positive and negative. I REALLY wanted an all natural birth after attending that class and so we continued to reject the option of induction at each of my weekly appts. At my 40w appt, baby girl was measuring right at 11lbs by ultrasound, so my OB basically said she didn’t feel comfortable letting me go any longer and that it would be fairly unsafe and scary to even try to have her vaginally. We felt pinned into a corner. The dead baby card was played, and being our very first and not knowing much, we just couldn’t risk that. So we scheduled a csection for a few days later. I never went into labor or had any sort of contractions before the surgery. Baby girl was born weighing 9lbs 11oz. Laying numb on the operating table and hearing her weight made me furious. I felt so betrayed by my OB. Like, seriously? 9 pounds? I could’ve pushed that out! Afterwards, I was overjoyed with my new baby, but felt a sense of loss as well. I felt broken. A natural, unmedicated birth is something I had come to want so badly, and yet it so easily was taken away with fear-based practice. I did a lot of research after that and learned a lot about vbacs and birth in general. When I got pregnant again, I was definitely doing a VBAC. 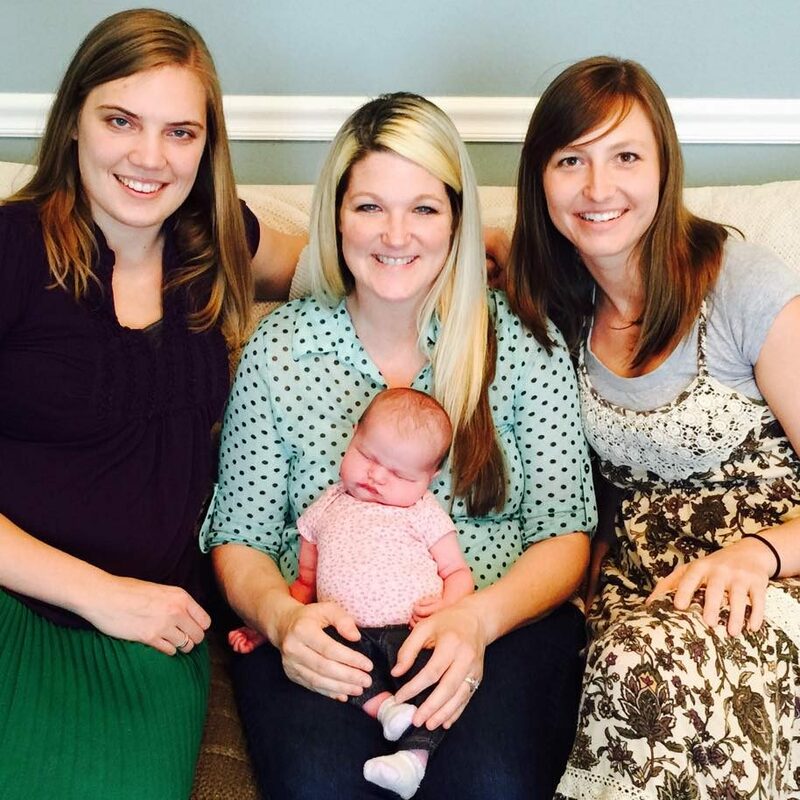 Pregnancy #2 came along and we found a VBAC friendly provider here in Tulsa. I told this OB about my last birth and how I knew better this time and would not be scared into another csection for supposed big baby. I knew the risks and I was prepared. Mid way through this pregnancy, my OB suggested I basically stop eating all carbs in order to hopefully keep baby from getting too big. I never tested positive for GD, but my OB thought my diet could have something to do with me having a bigger baby. Well, I didn’t follow Drs. orders. I tried, but cutting out carbs was just too hard for me. Fast forward to my 40 week appt. and my OB does an ultrasound to check baby’s size “just to see”. By ultrasound, baby was measuring 11lbs 12oz. In my head, I thought, “yeah right. She’s probably like 9 1/2 lbs again. I can do this.” But my OB started talking about big baby risks and how I also had elevated fluid levels and so there were risks to that too. She basically told me my chances of having a shoulder dystocia were 25% (which I don’t agree with now) and the elevated fluid level could cause cord prolapse (true, but we didn’t really know if my fluid levels were really high since they change throughout the day and we hadn’t been monitoring them) and that was very scary and I’d have to have an emergency csection. That all scared my hubby pretty bad, and even though I was ok with those risks initially, we decided since all the risks seemed to line up against baby, that I’d take the hit and have another csection. My dreams of a vaginal birth were, yet again, shattered by fear based practice, not evidence based. I had baby girl #2 by csection the next day and she weighed 11lbs 5oz. I was surprised by her weight and initially thought, “ok maybe there was a good reason for this”, but eventually my obsessive research proved again that that was not the case. Before becoming pregnant with baby girl #3, I did tons more research and a friend added me to the ICAN FB group, which I am forever grateful for! I learned so much about all different kinds of issues that Drs so easily cut us open for. It made me angry and scared. If I still wanted to have a natural birth, I didn’t feel like my last OB would be as supportive as I needed and there weren’t many other options here. I didn’t feel comfortable with a male Dr either. So, in doing my research and talking with a good friend about her home births, I decided that a homebirth midwife was probably my best chance at getting the birth I wanted. I had heard about Faith Morie from another friend and I immediately felt drawn to her since she is a Christian and also since she had a lot of vbac clients. When I became pregnant with my 3rd, I immediately emailed her to find out if she would consider me as a patient. We met with her when I was about 8 weeks pregnant and knew instantly that this was the way to go. She patiently answered all our questions and (mostly hubby’s) concerns, talked a lot about how we would try to manage baby’s weight by good nutrition and exercise, and made us feel completely safe in proceeding with a homebirth. This pregnancy was by far the hardest of my 3, and because of food aversions and nausea, I wasn’t able to fully stay on track with their recommended diet of tons of proteins and little carbs for the first 2 trimesters. I ate what I could, tried to get it in, but it was just hard. Not to mention the pregnancy exhaustion that usually subsides by the 2nd trimester did not let up. I was chasing 2 other little ones around every day, so that made it just that much harder. When I got to the 3rd trimester, I finally felt like I’d gotten some of my energy back and was able to eat mostly normal again. I worked really hard at controlling my diet, making sure to eat the recommended 80g of protein and 100oz of water every day. I was taking tons of supplements (and I mean TONS). I was walking almost every day, doing hands and knees, seeing a chiropractor 3x a week, etc. all to do everything I could to keep this baby’s weight manageable and get her in a good position for birth. 40 weeks came and went, and even though I knew I’d probably go past my due date, it was still disheartening. We had an ultrasound done that week to check baby’s size and the health of my placenta. Baby girl measured 9lbs by ultrasound and that was such a victory in my book since both my other girls were measuring 11lbs at 40 weeks. Placenta was healthy as well and I thought surely I’d go into labor before 41 weeks. 41 weeks came and went. I was still doing everything I could to stay healthy, but I was starting to get discouraged. 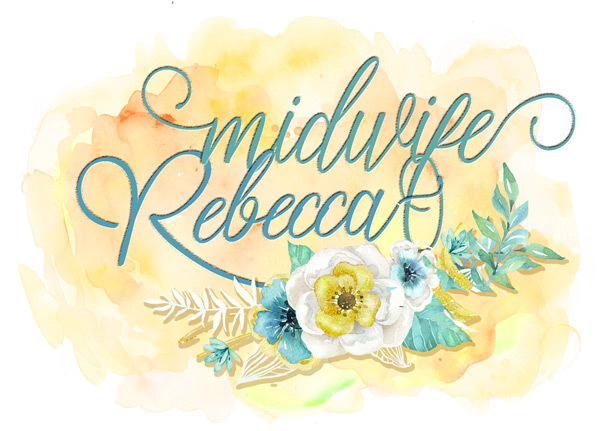 At my midwife appt that week, we discussed a natural induction method for that upcoming weekend, but they were hopeful things would happen on their own as they do for almost all their clients. The weekend came with no signs of oncoming labor, so I started the induction process. It was tedious. I was instructed to take 1 kind of herbal supplement every 30 mins and another kind every 15 mins for several hours in a row off and on until late that night when I was to take castor oil. The hope was that the combination of herbs and castor oil would put me into labor. By the next morning, I had some cramping, so I got my breast pump out in order to try and encourage the contractions to keep coming. This lasted a few hours and then the cramping completely stopped. I was so discouraged. My midwives felt it wasn’t a big deal and just told me to go on about my day as normal and hopefully my body would start on its own soon. 42 weeks came. I NEVER imagined I would actually get to 42 weeks. Each passing day made me feel like this HBA2C was not going to happen and that my body would NEVER go into labor. I was so discouraged waking up every morning STILL pregnant and not having any signs of labor. I had another ultrasound that week to check on baby, fluid and placenta. All looked good, so we continued to wait. It’s hard to remember the timeline now, but I think this week I started to lose my mucous plug mid week which was a little boost to my emotions. At my appt that week we discussed another try at the herbal induction that weekend before I hit 43 weeks, which none of us imagined would come. Another few days and still no sign of baby, so we started the induction process again Friday afternoon and evening. I woke up Saturday with strong contractions and these stuck around longer. I was also periodically using my breast pump because it seemed that my contractions would start to fizzle out and then get stronger when I used my pump and we were trying everything to keep me contracting. I could still do my normal activities, so since our big girls were at the grandparents, we ran a few errands and went on a couple walks that day hopeful of some changes. Things started to fizzle out that late afternoon and evening and so that night I did the castor oil again and Sunday brought on even stronger contractions. These I had to breathe through. I was getting really excited that things were slowly happening. The stronger contractions lasted all day on Sunday and that afternoon my chiropractor came by to adjust me and hopefully get this labor really going. She stayed for a while and watched me have a couple contractions, but then everything just came to a screeching halt. The contractions just completely stopped and not even my breast pump was bringing them back on. I was so frustrated, tired, discouraged and just feeling hopeless. And I was now enormously pregnant at 43 weeks. I just couldn’t even believe we were actually here. Like, I’m still pregnant at 43 weeks?! You have got to be kidding me. This is so rare. I never thought I’d be one of THOSE women! My midwives, Rebecca and Faith, came by late that night to discuss things. It wasn’t looking good for me to continue on much longer for certain risks were growing higher each day (nothing crazy, just some increased risk with some things. Don’t worry, baby and I were monitored very closely to make sure we were both ok). We decided that night that if baby hadn’t been born by Wednesday, that I would need to go in to the hospital and have another csection. I was so devastated. I just couldn’t believe how hard I had worked to get here and now the birth I had worked SO long and hard for would just be taken from me without even a try. My motto the last few weeks to my midwives when they would suggest something had become “whatever it takes” and I had fully meant that. A natural birth meant the world to me and I was willing to do whatever it took to get that, along with a healthy baby and mama. So we decided that night to try the herbal induction one more time before Wednesday to see if we could make it happen. I took the herbs all Monday afternoon and evening and did the castor oil at about 11pm that night. At about midnight, I started a round of pumping and as soon as I started, the contractions came on incredibly hard and strong. These were PAINFUL! Like, really painful. I was having to catch my breath at the end of each of them. I was on the floor, on the bed, standing, hanging on Matt trying to get some relief between each one. Unlike most labors that work up to these intense contractions, mine came on out of nowhere, so it took me a while to get into a rhythm of breathing through them well. As long as I pumped, they continued in intensity, pain and length. But when I took the pump off, they would start to fizzle. At about 2:30 that morning, my midwife had me stop pumping and told Matt and I to get some sleep in between contraction for a couple hours, so we did. I continued to have contractions all night long, though they were very irregular. The pump kept them more regular, but without it, they would get further apart. When we got up for the day, I started the pumping routine of 30 mins on, 10 mins off and the contractions continued. They were all pretty intense, but still not very regular. I loved being at home with Matt all morning, pacing around and around and around our living room while he worked at the kitchen table. It was so calm, so peaceful, so wonderful. I ate, I showered, we laughed and chatted and were excitedly hoping this was it, that things were FINALLY starting to happen. Throughout the day I continued to lose my mucous plug as well which was super encouraging that things were definitely happening. Around noon, I asked my midwife to come check me to see where we were at. I wasn’t sure if I would have wanted to be checked in labor, but having done so much already to actually get IN labor, I needed to know if all this work was doing something. She checked me around 1pm and I was about a 5 and 50% effaced (these numbers could be off…it’s a vague memory, but I think this is about right). I was so excited! I was halfway there and I had gotten in a good rhythm with the contractions and it wasn’t too bad!! I remember thinking, “I can really do this! This is actually happening!”. Up until that point it didn’t feel real. My midwife left and told me to call her if anything changed or just if I needed her, so I continued to keep in contact through text and let her know how the contractions were. All afternoon I labored and ate and slept and then the contractions started getting more intense. I was starting to need to hold onto Matt and moan and breathe through each one, but they still weren’t coming in a typical regular pattern. Some would be every 5 mins apart, some 7 some 10. Around 7 that evening, I called my midwives because I wanted them to come over again to check me and I was just really scared of getting to transition without them. Things were really intense with my contractions and I needed the extra support to get through them. About an hour later they came over and immediately checked me. I was 7 cm dilated and about 75% effaced! What?! 7?! I was so excited!! I remember saying to them, “So, I’m at a 7. That means I’m technically in transition. Is this as bad as it gets?! Because if so, I got this! !” They kind of laughed and just said the contractions may get worse, but I didn’t have far to go so it should be quick and we could probably have a baby by midnight. YES! Challenge accepted! Let’s get this baby out! Little did I know it would be MUCH later before that actually happened…At around 9pm and after a few more contractions, my main midwife, Faith, had me get on a birth stool to do a few pushes to try and get Audrey to come down since she was sitting a little high still. Pushing through contractions before feeling the urge to push was weird and awkward at first, but I got the hang of it pretty soon. I pushed through several contractions there and this is where things like time and places get a little hazy. I remember going from our living room to the bathroom to our bedroom. I remember pushing for a while on the birth stool by our bed. I remember them finally filling up the birth pool and me getting in. At that point, I don’t know what time it was. We may have napped in there some, I’m not sure. I do remember having to push through several contractions while Faith was trying to push back the cervical lip I still had. OUCH. Like, omygosh I’m going to die, OW! I heard from a lot of women that pushing was the best part of labor because they got to do something. It was not that way for me. It was very painful because almost every push, my midwife was trying to move things around for Audrey to come down and it took all I had to push through that pain. So, this pushing went on for hours. And hours. And hours. In the pool, on our bed, on the birth stool. I was in so in the zone and trying my hardest to push this baby out, but she was not budging. Faith said her head was getting stuck on my pubic bone and we needed more time to get it to mold to fit under it. Matt and I napped a little in between the contractions which were super intense now and had me bearing down uncontrollably. I was also still trying to eat to keep my energy up, but it took so much effort to swallow food that I could barely do it. And, at one point I ended up throwing up all over Matt, poor guy! When the sun started to come up that Wednesday morning, I was so sad and discouraged. I had labored hard all night long, had been pushing off and on and had barely any energy left. Nothing worked. And it was excruciatingly painful. At 10am that morning, we decided begrudgingly to transfer to St. Francis in hopes of getting an epidural (and hopefully some much needed rest) to allow the doctor to try some more maneuvers to get Audrey out vaginally. We knew going in that the deck was stacked against me – I was past 43 weeks, a home birth transfer, AND a VBA2C. All things NOT in my favor in a hospital setting. We prayed before we left that God would keep Audrey and I safe and give us favor with the hospital, nurses and doctors who would care for me and that they wouldn’t just send me straight to the operating table. And though He didn’t have to, God answered that prayer more than we could’ve imagined. Thank God the hospital is literally right behind our house because I cannot imagine going any further in a car as far along in labor as I was. As we pulled in, Matt dropped me and Rebecca off at the entrance while he went to park and right then I had a big contraction. In my head I was laughing thinking “this is so a Hollywood movie scene right now of a huge pregnant woman in labor walking into L&D screaming in pain”…and I was! I remember seeing lots of people walking by just looking at me like I was that crazy girl about to have a baby on the floor. I wish! Nope, Audrey was stuck pretty good so we had time :). Someone from the front desk came over to us with a wheelchair and took us up to the entrance to L&D. As I was checking in, I had another major contraction. After each one I would go back to normal, apologize and continue answering questions. I thought it was pretty funny how I would be in a normal conversation answering all the lady’s check in questions and then be like, “hang on. Uhhhhhhhhhhhhhhhhhh!!!!!!!!!! Ok, sorry, now what?” 🙂 She was not amused. Rude. Anyway, then a nurse came and got me and took me to a room where I had to get into a gown and answer more questions in between my screaming contractions. I finally answered all the questions and so far no one had acted like I was some 3 headed monster. The nurse said they would be in shortly with some stadol (sp?) to take the edge off the contractions and boy did it! That medicine was BOMB. After that, the doctor and a few residents came in to discuss my condition and options. To all of our great surprise, they said since everything looked fine with baby, we could try using the peanut ball for a couple hours to get her in a better position and try pushing again! I was SO grateful! After that the anesthesiologist came in to give me the epidural. After around 36 hours of unmedicated labor, I was VERY glad to see him :). I got the epidural and felt immediate relief, but then the shakes started. As I lay on the peanut ball for over an hour trying to sleep, I was shivering so uncontrollably that I couldn’t rest at all. Luckily, I didn’t feel as tired as I should have, but I remember being frustrated about shaking and not being able to rest. One of the residents came in to check me after a while and said Audrey had moved into optimal position so I could try pushing again with some help. The doctor came in after that and I pushed as hard as I could through several contractions while she was trying to pull Audrey’s head under my pubic bone, to no avail. She suggested I lay on the peanut ball again for another hour and then we’d give it one more shot. After an hour, she came back in, I pushed through several contractions again and Audrey wasn’t budging. At that point she said we had done all we could and she thought it would be best to have a csection. She said we could wait a few more hours, but her shift would be over soon and the next doctor that was coming on might not let me try. Matt and I talked for a bit with each other and my midwives, who had been there with us the whole time, and we all decided I had given it my best shot. I had done everything physically possible to get her out and, for some reason I’ll never know, was not able to. I was crushed, yet excited to finally meet my baby girl I had waited TOO long for. We told the doctor our decision and I was prepped for surgery. As they wheeled me into the OR, I remember feeling so scared. What if I die? What does this mean for future births for me? I hate the way I feel during my csections. I hate feeling numb and groggy. I hate laying flat on my back as they cut my baby out. I hate that when she is born and they lay her on my chest I don’t feel capable to hold her. It makes me cry to think about. But at 6:56pm, 43 hours after labor (the for real labor) began, Audrey Kate was born. They took her away initially to make sure she was ok, but brought her back to me quickly and laid her on my chest. She was absolutely beautiful. And HUGE. After I held her for a while, they took her back to do all the normal checks – weight, head size, length, etc. and to my surprise, she weighed 11lbs 14oz. Well no wonder I couldn’t push her out 🙂 I basically birthed a toddler. After they sewed me up, I was taken to recovery. I finally got to hold my baby girl and look her over and breastfeed and love on her. Thank God she was finally here and we were both healthy!